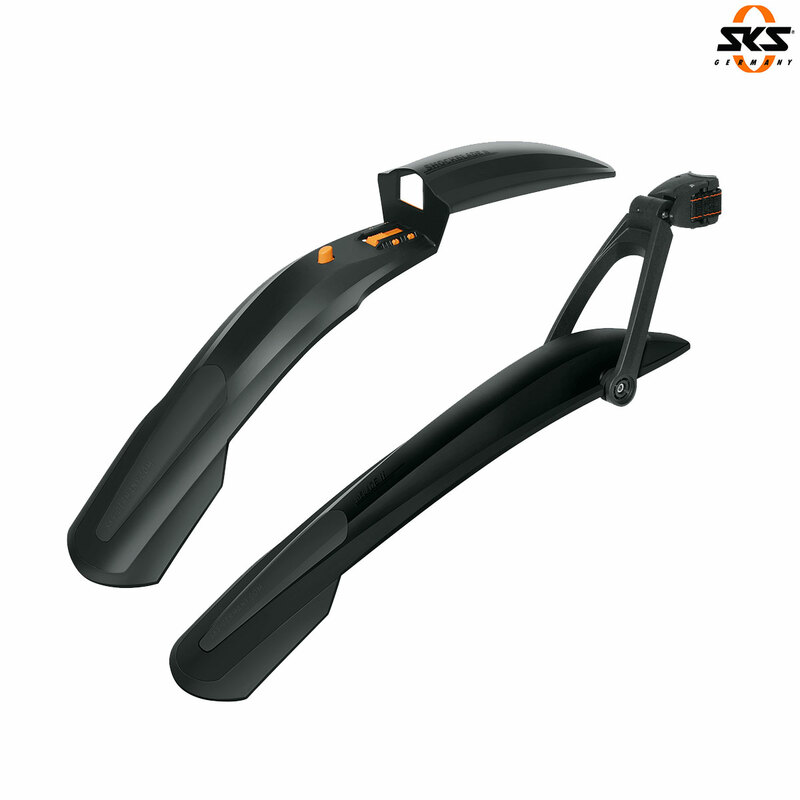 A new MTB specific set of mudguards offering superior protection. The front Shockblade offers greater coverage than a downtube mounted mudguard, and is compatible with suspension forks. It integrates an efficient quick-release system for easy fitting and removal. The Shockblade is complimented by the highly adjustable rear X-Blade, utilising a dual pivot design to customise the fit, a super-strong quick-release fitting for ease of fitting & removal, and a dual compound construction with a softer material at the trailing edge for greater flexibility.